We're starting to get our first bits of intel on Marvel's upcoming two-part saga Avengers: Infinity War. Josh Brolin, who plays the mighty villain Thanos, recently talked to SuperHero Hype about the process of getting ready to play The Mad Titan. "It's not voice work, it's mo-cap. I'm there. I'm there and I'm not in a booth. I'm being filmed. I have a bunch of crap on my face. [laughs] I'm being filmed by like thirty-four cameras? Thirty-six cameras? Something like that. Every movement, everything. So, it's very new to me, it's very exciting, it's very unnerving. But I sure trust these guys! You know? 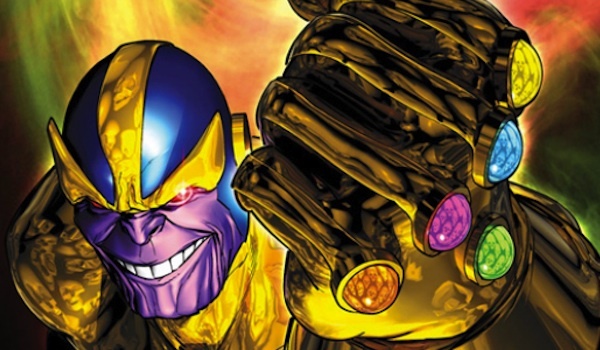 We're supposed to get together very soon to talk about the trajectory of Thanos in the next few years and it's very exciting. It's one of the better decisions I think I've made."